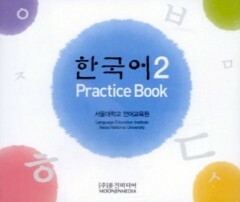 Produktinformationen "Korean Practice Book 2 - Audio CDs"
Korean 2 Practice Book is a supplementary book to Korean 2 developed by the Language Education Institute at Seoul National University. 4 CDs contain Sentence Structure Exercises and Listening Exercises in the Review to enable students to practice on their own. Weiterführende Links zu "Korean Practice Book 2 - Audio CDs"
Unser Kommentar zu "Korean Practice Book 2 - Audio CDs"
Kundenbewertungen für "Korean Practice Book 2 - Audio CDs"